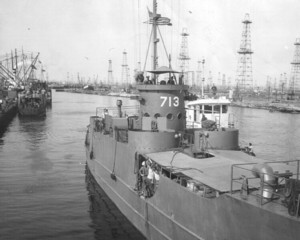 The LCI (L) 713 was originally built at the Lawley Shipyards in Neponset, Massachusetts and was commissioned on September 18th, in 1944. 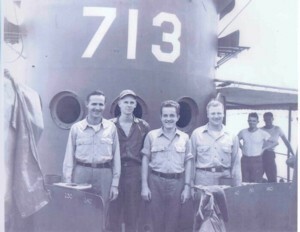 After shakedown and training cruises at Solomons, Maryland, she sailed through the Panama Canal to the Pacific Theater of Operations where she earned a battle star while assigned to Flotilla 24. She participated on two combat landings in Mindanao and Borneo before the end of World War II. 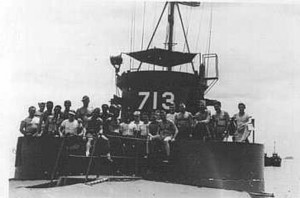 From then on until December 1945 she transported troops around the Philippines. She arrived back in the United States in January 1946. 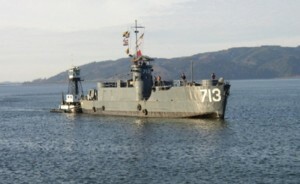 She was decommissioned on October 6th, 1946 and released to the Maritime Commission for sale. 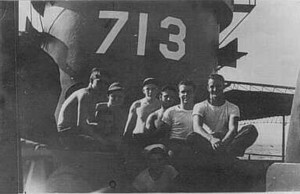 On February 10th, 1948, the ship was purchased at government auction by C. T. Smith & Son and picked up from the Navy in Seattle. After a two day trip to Portland, Oregon, it was found that she would not be practical for towing logs so she was docked and for several years used for stowing gear and fuel for the log-towing company. 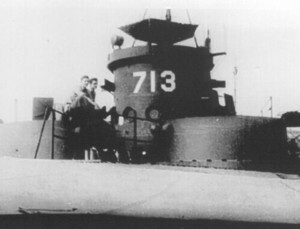 In the late 1950's the 713 started taking on water and sunk in the Columbia River near the town of Stevenson, Washington.At this point Arthur A. Raz became intrigued with the sunken 713. Finally in February 1976, he raised the ship and towed it to Portland, Oregon. 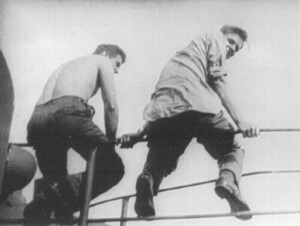 He had originally planned for the ship to be converted into a commercial tug boat but found that the design of the ship was impractical for such purposes. He had discussed the possibility of restoring it. However, due to his untimely death, he was never able see it through. 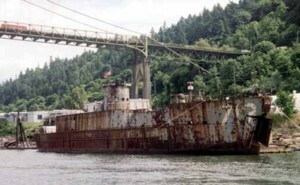 The ship was sold for scrap value in 1998 to a group of individuals who recognized it for its historical value. In order to ensure that the 713 would be protected and preserved for future generations, the AFMM was formed as a non-profit and in 2006 the AFMM purchased the LCI-713. 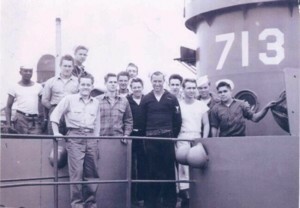 Our dedicated team of volunteers that include electricians, welders, college students, businessmen along with several LCI veterans who share a common interest are bringing the ship back to her original war time condition. They are proud to be involved in the restoration of this ship, making her the last remaining LCI in the original war time configuration. The 713 sat on the river bottom in Stevenson Washington for years. 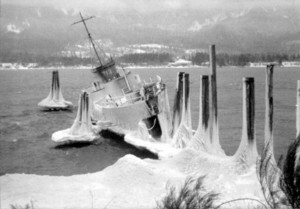 LCI 713 after it was refloated and moved to Portland. A recent view of the 713. Looking much better! 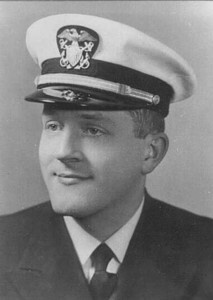 Jim Baulsbaugh, U.S.S. 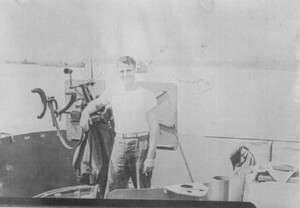 LCI 713 Engineering Officer, 1944-1945.